The Shredder has been the main adversary of the Teenage Mutant Ninja Turtles for decades, and it was no different in their 2014 film. Although William Fichtner’s Eric Sacks was originally reported to be the film’s Shredder, viewers soon discovered that it was another individual who held the identity. Tohoru Masamune played the villain in the reboot, but when the Turtles and their supporting cast return in 2016’s Teenage Mutant Ninja Turtles 2, a new actor will be wearing the gigantic metal samurai armor. Variety is reporting that actor Brian Tee will succeed Masamune as Shredder in Teenage Mutant Ninja Turtles 2. Tee will appear alongside the film’s returning cast and new actors like Stephen Amell (who is playing Casey Jones) and Tyler Perry (who is playing Baxter Stockman). It’s unclear whether Tee’s Shredder will be the primary villain in the sequel or more of a sideline bad guy, but with Stockman and Bebop & Rocksteady confirmed to appear, this film is going to be jam-packed with Turtle baddies. In Teenage Mutant Ninja Turtles, Shredder led the Foot Clan on a terror spree across New York City to secure the Mutagen, the substance that mutated the Turtles and their master Splinter. With his second-in-command Sacks, who was also his adoptive son and the creator of his armor, he attempted to detonate a bioweapon that would spread a virus across the city, and afterwards they would use the Mutagen to cure people for a price. Their plan failed when they were stopped by the Turtles, April O’Neil and Vern Fenwick. When he was last seen, Shredder had fallen off the tower where he had been fighting the Turtles, and was taken away by the police. Shredder made his first appearance in the original 1984 Teenage Mutant Ninja Turtles comic book series, and since then has had prominent roles in many of the Turtles’ various animated shows, movies and video games. He was never named in the 2014 film, so it’s unknown if he is the Oroku Saki version of the character or an entirely different person. Perhaps in Teenage Mutant Ninja Turtles 2, that question will be answered and moviegoers will learn about Shredder’s past. 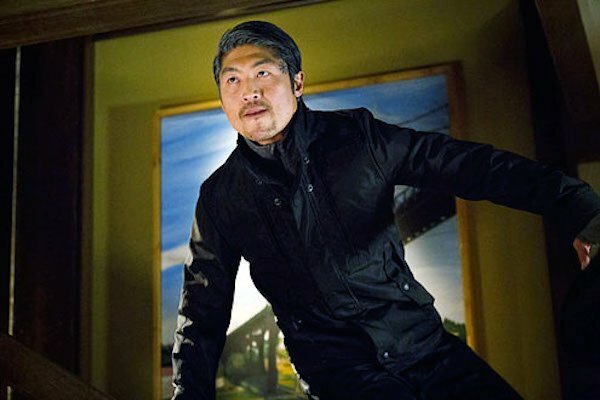 Brian Tee is perhaps most well-known for playing Noburo in The Wolverine and Liu Kang in the Mortal Kombat TV series. He has also had recurring roles on Hawaii 5-0 and Grimm, and he can be seen next month in Jurassic World as Takashi Hamada. Tee will be the fourth actor to play Shredder in live-action on film, following Masamune, James Saito in 1990’s Teenage Mutant Ninja Turtles and François Chau in Teenage Mutant Ninja Turtles II: The Secret of the Ooze. Teenage Mutant Ninja Turtles 2 will be released in theaters on June 3, 2016. David Green will direct the sequel, with script duties handled by Josh Appelbaum and André Nemec.